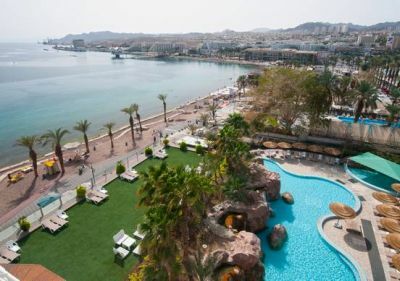 The Leonardo Plaza hotel is the perfect place to spend your Eilat holiday. Enjoying a superb location on the Red Sea beachfront promenade, it has its own private beach in addition to three outside swimming pools – one of them a special waterfall pool. The hotel has generous spaces inside and outside, creating an atmosphere of quality, style and relaxation. Eilat Airport and the city center are close by. Elegantly furnished and comfortable rooms range in size from 26 sq.m to 60 sq.m, most of them overlooking the sea and many with large balconies. There are four restaurants and bars, a health club with spa and a variety of shops. Business guests will appreciate the well-equipped Business Lounge with full office facilities. During the day and in the evening, there’s always something interesting to do. 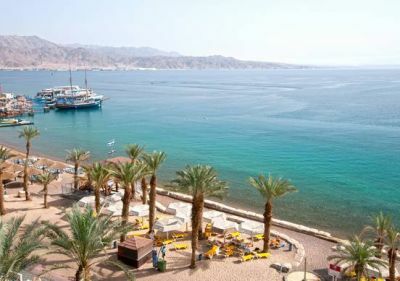 In season, this hotel in Eilat has a full program of daytime activities, as well as evening entertainment at the ‘Broadway’ nightclub. Children enjoy special attention with a range of day-time activities and their own ‘Super Kid’ club. The Leonardo Plaza is the hotel that you’ll want to bookmark whenever you come to Eilat. Check-in time to rooms is 3pm. Check-out time is 12am. • Private beach • 4 restaurants and bars • 3 outdoor swimming pool • High quality cuisine • Healthclub and spa • Adult and kids entertainment RoomsThere are 301 air-conditioned rooms with balconies and all are furnished to a high standard with many amenities. There’s an impressive range of options from the Superior Room to the Royal Suite. 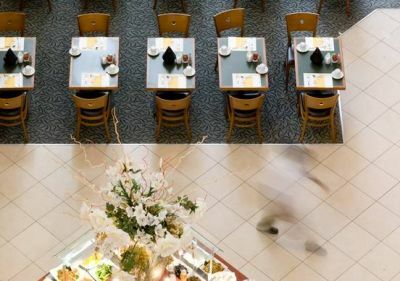 Mealtimes are always an exciting event at the Leonardo Plaza Eilat, with many places to choose from: The Galleria: The hotel’s main restaurant serves a varied menu of Israeli-style breakfast and dinner buffets. Galleria’s chef is a specialist in serving dishes from various International cuisines. Each day guests will enjoy unique flavors of different national cuisines such as Italian, Oriental, French and much more. La Terrace: During the day, you can enjoy light and tasty dairy meals served by this outdoor restaurant next to the main pool. Patio Grill Bar: This restaurant, located by the waterfall pool, serves excellent meat dishes, a variety of Mediterranean salads and children meals at special prices. It’s open for lunch between 1pm and 4pm. Amadeus Lobby Bar:It’s great to sit on a closed air-conditioned balcony and enjoy a delicious dairy meal while you look over the beautiful Red Sea coastline. The Business Lounge is equipped with wired and wireless Internet access, LCD TV screens, fax, photocopiers and work tables. There are several comfortable seating areas. Guests enjoy special chef treats and free hot and cold drinks. The Lounge is open to adults over 21 and has an entrance fee. The new Coral Spa has all the facilities to make you feel and look good. Located with a marvelous view of the sea, the Spa has a dry sauna, outdoor Jacuzzi, a variety of massage treatments, treatment rooms and a fully-equipped fitness room. An entrance fee is charged. For kids there’s always something to do at the hotel. 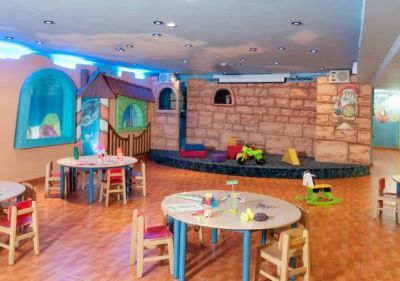 The ‘Super Kid Club’ offers children movies, game areas, PlayStation areas, Jamboree, ping-pong tables and more. The club was recently renovated and well equipped. You can also order a babysitter service. The ‘Broadway’ night club is a natural focus for hotel life. It can accommodate up to 400 guests and has an interesting and varied program of entertainment throughout the day for adults and children. In the evening there are appearances by talented guest artists. The hotel has three swimming pools – a large main pool, a toddlers pool and a waterfall pool. These are located a few hundred meters from the hotel’s private beach. 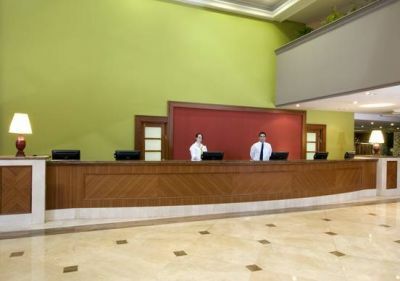 The hotel’s shops inside the main building are very convenient for guests. They include a drugstore, gift and souvenir shops, a newspaper stand, H. Stern jewellery shop, a hairdressing saloon and a beauty parlor. 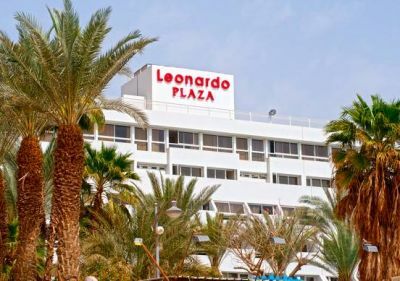 For observant guests the Leonardo Plaza Eilat provides various religious services: two Shabbat elevators, mechanical room keys, separate beds, possibility for Glatt kosher packed meals, Shabbat candle corner, hand washing corner and in-house synagogue. Leonardo Plaza is proud to report that it was awarded the Certificate of Excellence by TripAdvisor.com, the popular Tourism community website.